January | 2011 | GO WEST BLOG! On this historic day in our nation’s history, Congressman Allen West (R-FL)has been officially sworn in to the United States House of Representatives as a member of the 112th Congress. 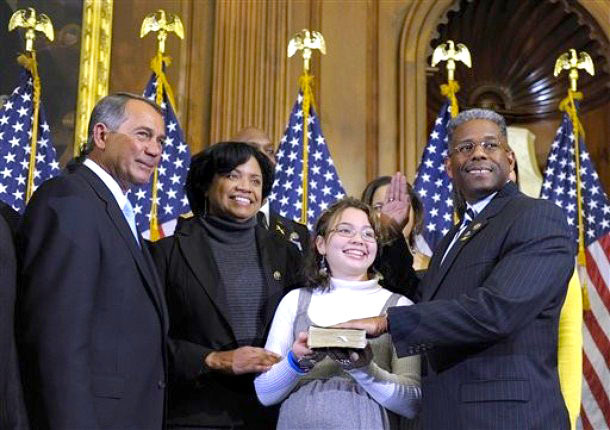 Accompanied by his two teenage daughters, Aubrey and Austen, and his wife Angela, West placed his hand on the bible and was asked to take the oath of Congress by newly elected Speaker of the House, John Boehner. West has accepted appointments to the House Armed Services Committee and the Small Business Committee. 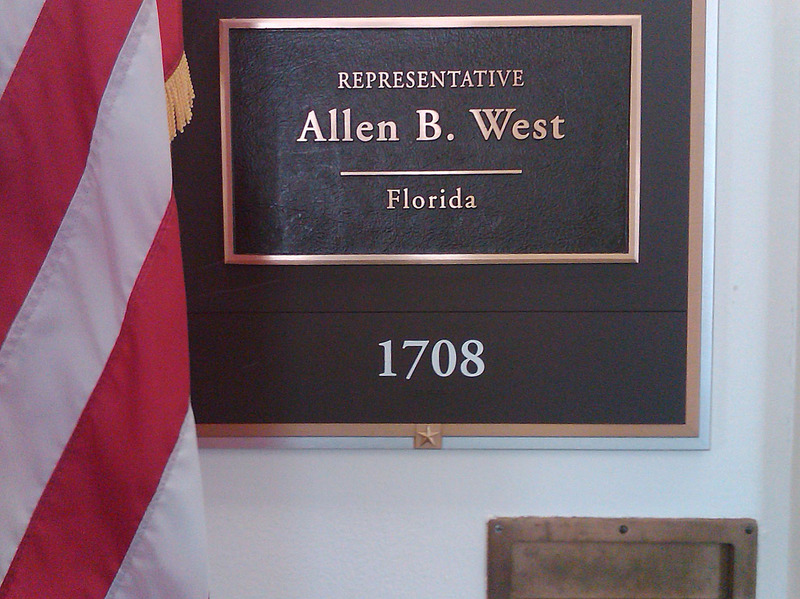 Thank you for all you have done for Congressman West!